Another regular fixture in the bands year! 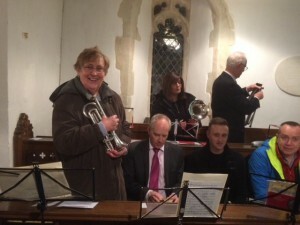 Accompanying the carol service at Hannington Church. 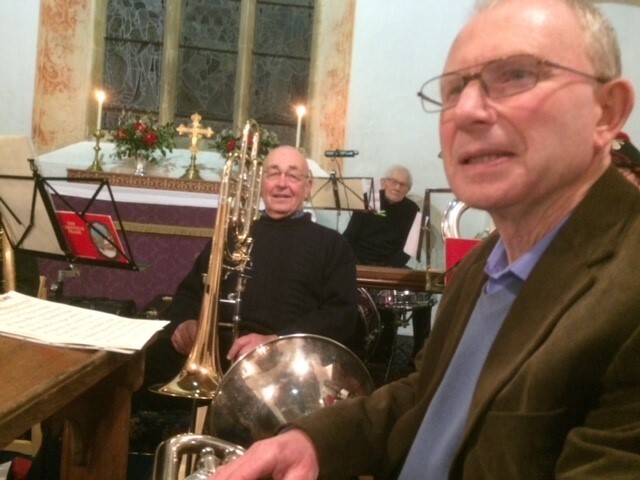 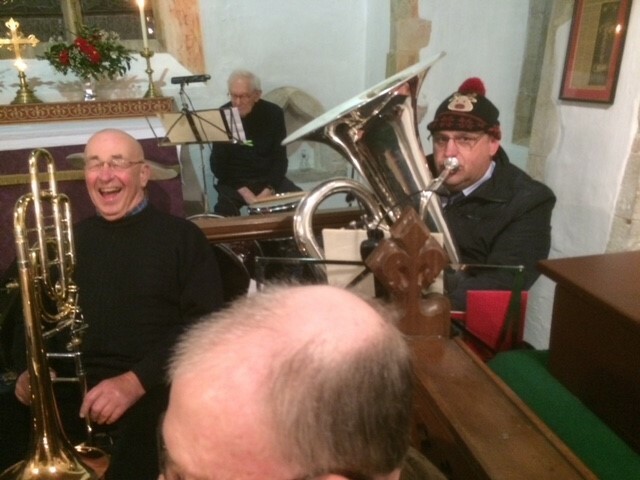 The band played along with a number of carols and also played two pieces in the middle of the service, When a child is born and Stop the Cavalry. At the end of the service the band also played Christmas Crackers. ….. then joined in the festivities by helping to consume the Mulled Wine and Mince Pies which had been kindly provided by the congregation. 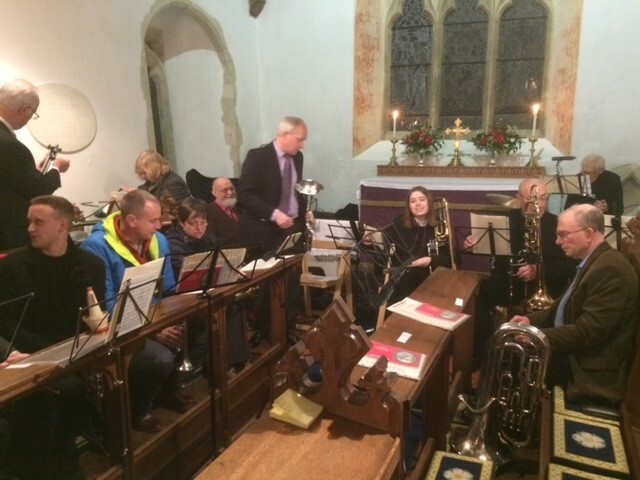 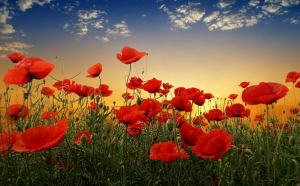 Hannington Band were pleased once again to take part in the Remembrance Day event in Kingsclere. 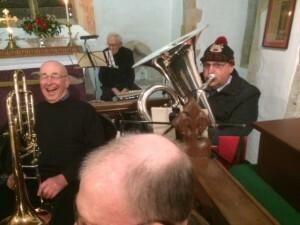 The band played the British Legion March as the procession made its way towards the War Memorial in the grounds of St Mary’s Church. 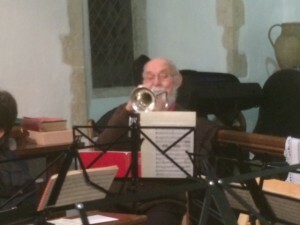 Tony Wythe played the last post and then the band accompanied the Hymns during the service.